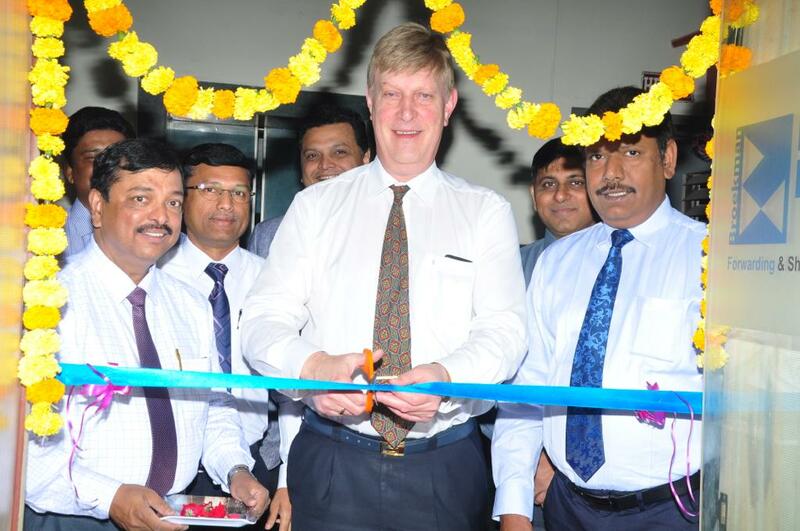 Hyderabad, January 16, 2019 – Broekman Logistics strengthens its market position in India by adding a new office, servicing its customers in central India and acting as the gateway to Asia. 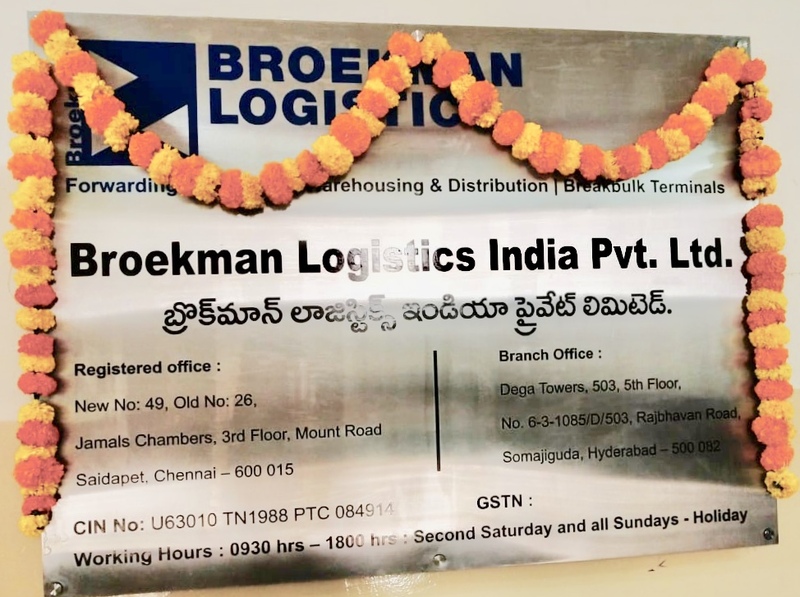 With the opening of the Hyderabad location Broekman Logistics now has presence in yet another logistics hotspot in India, being able to unburden its global client base even better. Broekman Logistics India is a well-known full supply chain logistics service provider with air, sea, road, and rail services, warehousing and distribution. The company is an approved IATA member, FIATA member and the exclusive Indian partner in the global operating NVOCC, Flash Line 2000 Ltd.
Having logistics expertise experience for nearly 60 years, Broekman Logistics serves the rest of South Asia, Southeast Asia, East Asia, Oceania, the USA and Europe through strategic locations in India. The addition of the Hyderabad office will perfectly complement the freight forwarding services that Broekman Logistics already provides and will further strengthen India’s position as the gateway to the rest of Asia. Furthermore, this expansion fits the company’s global growth strategy: Broekman Logistics ended 2018 with a big expansion of 5 new locations in Europe by its Warehousing & Distribution division with the VLS-acquisition. Since the start of Broekman Logistics in 1960 at the Port of Rotterdam, the company has grown into one of the leading full-service supply chain companies in the Netherlands. With its 43 offices, terminals and warehouses in the Netherlands, China, India, Singapore, Belgium, Poland and the Czech Republic, Broekman Logistics offers its clients a full suite of supply chain services: from forwarding, shipping, and distribution services to the specialized breakbulk terminals and combined hazardous and non-hazardous class warehouse locations. Together with its long term Network Partners around the Globe, Broekman Logistics’ 1000+ supply chain professionals put their pride and joy in providing a Global Reach with a Personal Touch to their clients. (www.broekmanlogistics.com).